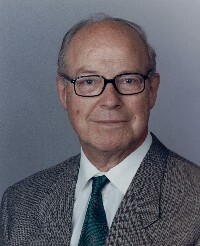 Dr. Hans Blix was born in 1928 in Uppsala, Sweden. He studied at the University of Uppsala; at Columbia University, where he was also a research graduate; and at Cambridge University, where he received his Ph.D. In 1959, he became Doctor of Laws at the Stockholm University, and in 1960, was appointed Associate Professor in International Law. He has an Honorary Doctorate from Moscow State University (1987) and is a recipient of the Henry de Wolf Smyth Award (Washington, DC, 1988). From 1963 to 1976, Dr. Blix was Head of Department at the Ministry for Foreign Affairs and served as Legal Adviser on International Law. In 1976, he became Under-Secretary of State at the Ministry for Foreign Affairs, in charge of international development cooperation. He was appointed Minister for Foreign Affairs in October 1978. From 1961 until 1981, he was a member of Swedens delegation to the United Nations General Assembly; and from 1962 to 1978, a member of the Swedish delegation to the Conference on Disarmament in Geneva. He served as Director General of the International Atomic Energy Agency from 1981 to 1997. He has written several books on subjects associated with international and constitutional law and was a leader of the Liberal Campaign Committee in favour of retention of the Swedish nuclear energy programme in the referendum in 1980. Dr. Blix was appointed to his present position by the UN Secretary-General in January 2000 and took up his duties on 1 March 2000.